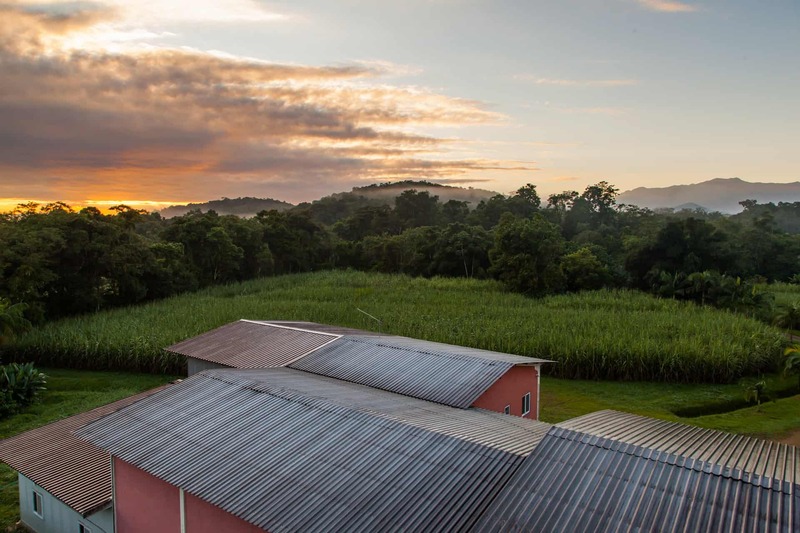 We are an organic cachaça producer in the middle of the largest swath of protected South Atlantic Rainforest, so we are constantly thinking about the sustainability of our business and spirit category as demand for artisanal cachaça grows worldwide. The increased interest outside Brazil for cachaças aged in native Brazilian wood barrels — including our own Novo Fogo Two-Wood Series — has caused us to think deeply about the potential consequences for the longevity of this subset of the cachaça category. Native wood-aged cachaças can be delicious and delightful expressions that showcase Brazil’s diversity. But they can also be fraught with issues that get to the core of Brazil’s challenge to balance business development with environmental preservation. How can the two coexist? As stewards of our own corner of the rainforest in southern Brazil and as passionate specialists in barrel-aging cachaça, we seek to present a general assessment of Brazilian wood’s role in cachaça production: its history, rationale, and considerations for future environmental sustainability. Though there is still much to explore, consider this a good primer on the topic. But first, a bit of background about our ethos: the basic concept that motivated Novo Fogo’s founders was to balance the growth of an agricultural business with environmental preservation. This is a challenging equilibrium to achieve, especially in a resource-rich country like Brazil. Its fertile soils are home to a third of the world’s remaining rainforests, making Brazil the most biodiverse country on Earth. But as South America’s most populous country, the relentless push to extract these natural resources has come at great cost. Demand for beef, soy, and timber has driven deforestation at alarming rates: between August 2015 and August 2016, a forested area the size of Connecticut and Delaware combined has been cleared in Brazil. And this is hardly confined to a local issue: forests sequester carbon dioxide from the atmosphere, and when trees anywhere in the world are burned or cut down and left to decompose, they release the carbon they had been storing. Deforestation contributes to an estimated 25% of total greenhouse gas production on the planet and is a main cause of global climate change. Cachaça producers like us fit into this picture in two key ways. The first is as farmers: we cultivate land to grow sugarcane, which we at Novo Fogo have chosen to do organically on our own cane plantation, by using low-tech methods that do not negatively impact the surrounding rainforest. Among other things, it means using no chemicals that could leach into the soil and nearby rivers and hurt our people. Our second intersection with Brazil’s environmental destiny is with the types of wood barrels we use to hold or age our spirits. This is where the use of native Brazilian woods in cachaça production enters the story. 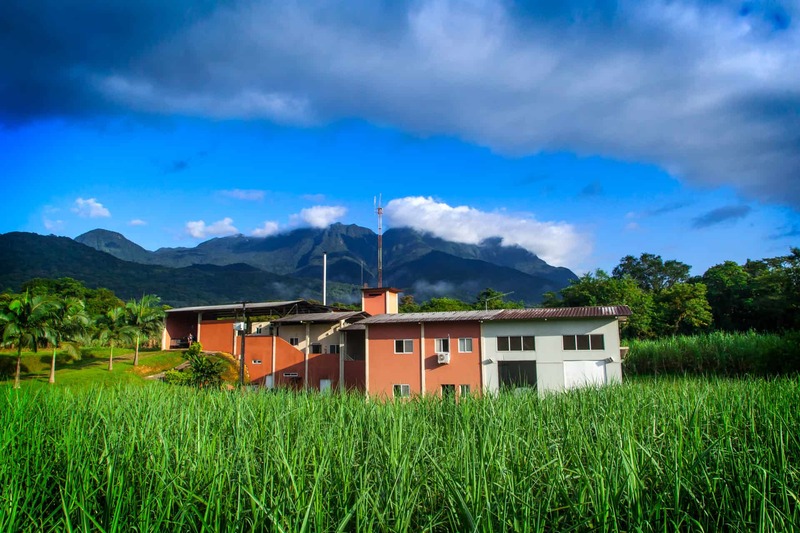 The Novo Fogo distillery is at the foot of the mountains, in the middle of the South Atlantic Rainforest. Our sugarcane fields border the protected jungle. Since cachaça first appeared on Brazil’s coast near present-day São Paulo around 1530, producers needed a place to store their distillates between harvests. In the absence of a robust metallurgy industry to make copper or steel tanks, native trees were milled and constructed into giant containers to hold cachaça. The trees used to make these giant barrels were predominantly from a family of Brazilian trees known as hardwoods — their timber ranks among the hardest woods on the planet. The trees, with names like amendoim, ipê, jequibá, and cabreúva, evolved to have tight-grained, dense, and in some cases resinous wood to survive in hot, humid climates and repel innumerable insects with an appetite for plants. Due to these sturdy qualities, Brazilian hardwoods are prized by builders for construction, furniture, and flooring. As far as cooperage (barrel-making) goes, Brazilian hardwoods are better suited for building large tanks with long staves, rather than small barrels that are more easily built with softer woods (spoiler alert: small oak barrels in the 200 to 250-liter range are used worldwide for a reason). Brazilian wood tanks were used historically for a basic and practical purpose: to hold liquid. But what kind of sensorial qualities do Brazilian wood barrels bequeath to the cachaça inside them? It depends on several factors, and two stand out: the kind of wood and the size of the barrel. Some woods, like amburana and araribá, impart a considerable amount of flavor, aroma, and color to cachaça because of their high resin content that “infuses” earthy and spiced elements into the liquid. Other hardwoods, like amendoim and jequitibá, are so dense that they impart barely any flavor or color at all, no matter how long the cachaça rests inside. These woods have been commonly used to construct huge tanks — some upwards of 10,000 liters — which also contribute to the minimal impact the woods have on cachaça. The bigger the barrel, the lesser the contact between wood and liquid and thus the lesser the sensorial influence the wood will have on the cachaça. Some cachaças that have spent more than three years resting in these giant hardwood tanks have absorbed so little color and flavor that they appear, smell, and taste like silver, unaged cachaças. Moreover, Brazilian woods’ high density reduces the chemical reactions that take place in the spirit when air passes through the pores in the barrel. This process of oxidation is a major factor that generates complex flavors in barrel-aged cachaça. 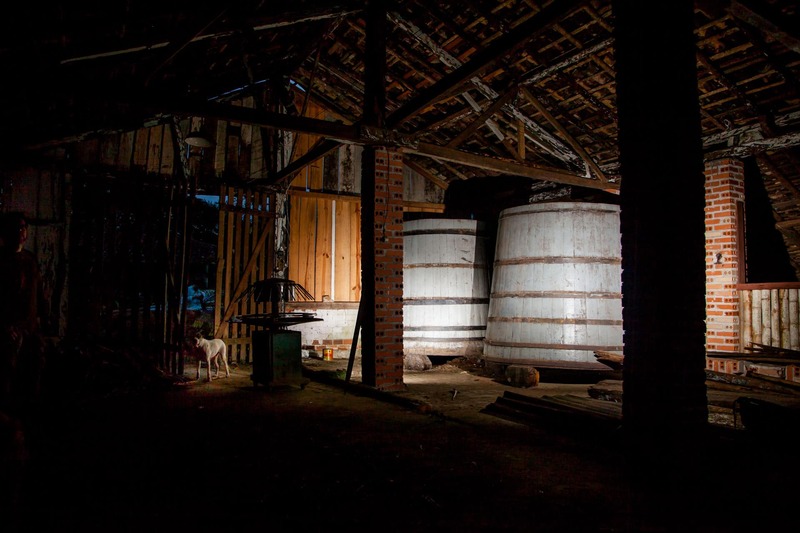 Large tanks were historically built out of native woods to hold cachaça. Old resting tanks at Engenho da Serra in Morretes, PR. In 2005, the Brazilian government codified the rules that define cachaça envelhecida (barrel-aged cachaça) with legislation stating that at least 50% of the spirit must be aged in wood containers no larger than 700 liters for at least one year. Cachaças that have rested in large Brazilian wood casks over 700 liters are categorized as cachaça armazenada (rested/stored cachaça). The unfettered logging to obtain these Brazilian trees, prized for constructing houses and cachaça barrels alike, has been a key factor that has driven devastating deforestation in the country. In our own state of Paraná, 93% of the Atlantic Rainforest has been cut down (that’s not a typo!). Today, over 300 species of Brazilian trees are listed as endangered, including most of the popular native woods used for aging cachaça; see the table below. Over the last decade, the Brazilian government has enacted laws on both federal and state levels to generally preserve what’s left. Most native Brazilian trees are protected by law from being cut down so that forest ecosystems can recover. Despite this legislation, illegal logging is rampant in Brazil’s remote, unenforced regions; in May 2014, the Guardian reported that 78% of the timber shipped from the Amazonian state of Pará was illegally felled. Prepared by Dr. Agenor Maccari Jr. and Dragos Axinte. Sources: IUCN Red List of Threatened Species, Centro Nacional de Conservação da Flora. This is a grim prospect for Brazil’s forests, and cachaça producers who use native woods are directly implicated in the situation. Right now we are witnessing a phenomenon that is compounding the conundrum: as the artisanal cachaça category grows and matures in North America and beyond, interest in Brazilian wood-aged cachaças is increasing — and rightfully so. No other spirit category has such variety in woods used for barrel-aging. This variety reminds us of Brazil’s vast ecological diversity, and triggers the creativity and resourcefulness of cachaça producers. But as this international curiosity surrounding Brazilian woods grows, so does the potential risk posed for the sustainability of native trees, and we have experienced it firsthand. Our Two-Woods Cachaça expressions, aged in American oak and finished in Brazilian wood barrels, have been received enthusiastically in the U.S. Thus far, we have released Tanager, finished in araribá (a type of zebrawood), and Graciosa, finished in castanheira (a type of chestnut). More Two-Woods Cachaças are on our horizon, too. But since we have just a few barrels of each native wood, the quantities of cachaça we can produce have been modest. To keep up with demand, we need more Brazilian wood barrels, but the rare wood is not readily available in legal form. Can cachaça be aged legally in native Brazilian hardwoods? Certainly. Some government infrastructure projects, like building dams, allow the trees in the affected areas to be legally harvested and sold on the market. Often, new trees will be planted elsewhere to balance the loss. Although the native trees are endangered today, barrels that were produced in the past or that are produced today from wood that was felled in the past are legally allowed. For example, we at Novo Fogo used zebrawood from an abandoned house on a partner’s property to make three barrels. Similarly, we were lucky to acquire castanheira wood for our Graciosa expression from a cooper who had been storing the wood for decades. To keep up with demand, we need more Brazilian wood barrels, but the rare wood is not readily available in legal form. Nevertheless, the future for Brazilian woods’ long-term sustainability as the cachaça category grows is uncertain. Humberto Candeias, one of the cachaça experts behind Brazil’s Cúpula da Cachaça organization, wrote in an article in last year’s Cachaça magazine that “the day is not far when a certification of sustainable origin for the woods used [in production] will be a requirement for entering certain markets, especially Europe and the United States.” Candeias’ prediction is sound advice for one strategy that can help to ensure the long-term viability of Brazilian woods in the cachaça industry. What does this mean for Novo Fogo? 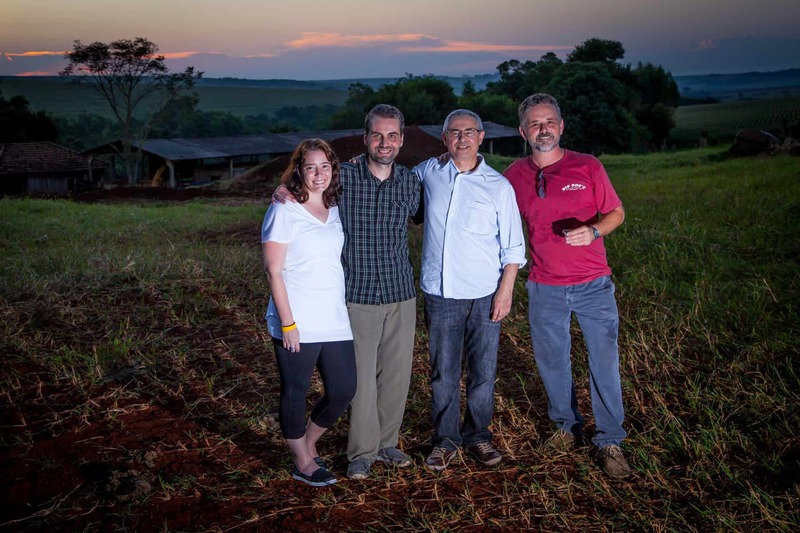 Under the leadership of our Master Distiller, Dr. Agenor Maccari, Jr., we are constantly developing new ways to introduce the beguiling flavors of Brazilian woods to our organic cachaças. Agenor is the Barrel Whisperer. As someone who deeply understands native trees, from their biological role in forest ecosystems to the ways their wood affects chemical reactions during barrel-aging, Agenor has found a solution to maximize flavor while prioritizing sustainability. The Novo Fogo Two-Woods Series uses American oak-aged cachaça as a foundation for primary aging followed by the introduction of the distinct flavors of unusual Brazilian woods through a deliberate “finishing” process. As explained above, some Brazilian woods impart rather mild sensorial qualities to cachaça while others are quite intense. Strategically using both American oak and Brazilian woods to age the same spirit means that we can control the sensorial qualities contributed by native wood barrels while reducing the number of scarce barrels we need to produce a run of cachaça (albeit a small one!). Cachaça aged just for a month in a resinous araribá barrel alone, for example, was so tannic and bitter that it was virtually undrinkable. But when the soothing notes of vanilla and toffee in American oak-aged cachaça rested in the native araribá barrel for a spell, the cachaça eventually became the balanced Two-Woods expression known as Tanager. But why have we chosen American oak as our preferred wood for barrel-aging most of our Novo Fogo cachaças? In 2016, a blind tasting by the highly reputable Cúpula da Cachaça of São Paulo ranked the top cachaças in Brazil after whittling down a list of public submissions numbering more than 1,000 different labels, first to 250, then to the final ranking of 50. Out of those top 50 cachaças deemed by the panel as the best in Brazil, 30 were aged in oak. Cúpula da Cachaça recognized two of our expressions in the #1 and #7 positions: the cachaça named “Best cachaça in Brazil” for 2016 was Porto Morretes Premium, a spirit known by North Americans as Novo Fogo Barrel-Aged Cachaça. You can see the entire list of Top 50 cachaças for 2016 here. How did oak become such a popular wood for barrel-aging cachaça in Brazil? Beginning in the 1530s, cachaça was predominantly produced and consumed on Brazil’s coast by African slaves who worked on sugarcane plantations. The spirit was perceived as a lowly drink by the Portuguese colonists, who preferred to drink wines and European spirits like bagaceira, a kind of Portuguese grappa. These European wines and spirits were transported across the Atlantic in small oak barrels, which were utilized by cachaça producers as containers to store their distillates after they were emptied, creating a lasting preference for oak-aged spirits. Eventually cachaça’s popularity spread among Brazilian colonists in the sixteenth and seventeenth centuries, and distilleries multiplied significantly among the coastal sugar mills from São Paulo to Pernambuco. After gold and precious minerals were discovered in the inland state of Minas Gerais in the eighteenth century, a mass migration began from the coast to the interior. Silver cachaça was transported overland in small wooden barrels, absorbing pleasant qualities of color, flavor, and aroma along the way. This set the stage for a longstanding tradition of resting and aging spirits in the cachaça-producing heartland of Minas Gerais, while coastal cachaça-producing regions like Paraty are defined by predominantly silver cachaças to this day. 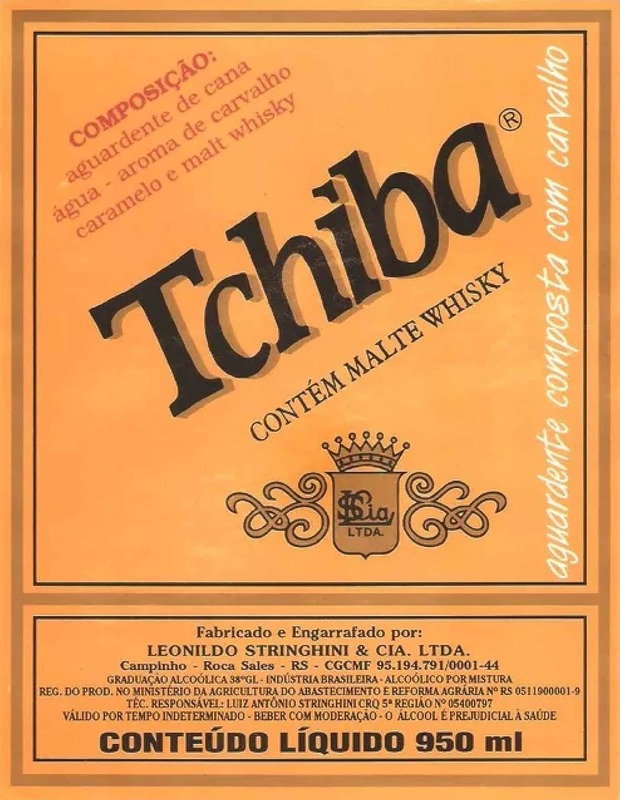 In the twentieth century, the preference for oak-aged spirits was solidified by a growing taste for whisky, but with a uniquely Brazilian twist. During the military dictatorship that ruled Brazil between 1964 and 1985, the country’s economic policy of import substitution restricted the importation of certain foreign products if they could be produced in Brazil instead. Single malt whisky from Scotland was one of these products. In lieu of Scotch, the Brazilian dictatorship fostered a domestic malt whisky industry by incentivizing the importation of malt and grain from Scotland, which was then blended with sugarcane alcohol and bottled as uísque nacional. The Scottish malt was shipped to Brazil in oak barrels, which were adopted by cachaça producers who could acquire them inexpensively on the domestic market. By the twenty-first century, oak had solidified its place as the preferred wood for aging cachaça in Brazil. When Fulgencio Torres Viruel (“Torres”) built a cachaça distillery in the outskirts of the town of Morretes in 2003, his decision to use American oak to age cachaça was clear. 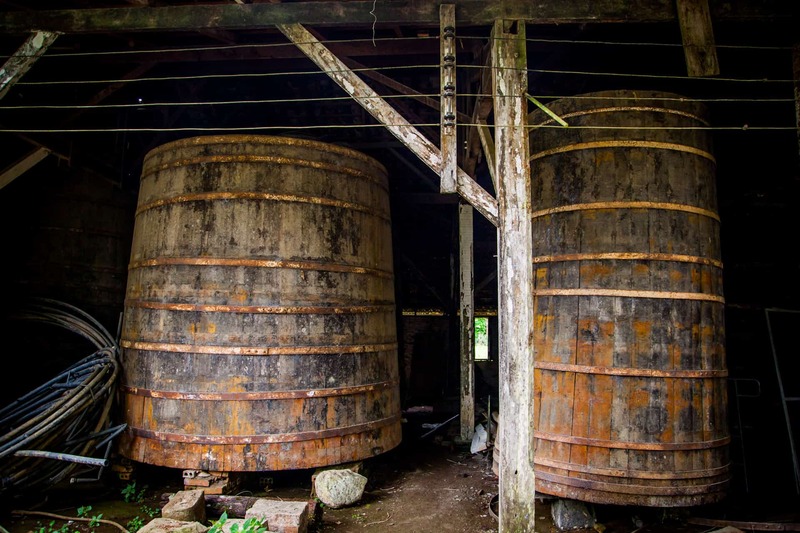 The barrels could be acquired from the U.S., where the bourbon whiskey industry’s requirement for new oak barrels kept a steady stream of previously-used barrels flowing into the global wine and spirits industry. Aging in American oak is a sustainable strategy, and it has also produced delicious results. The Cúpula da Cachaça’s ranking is a testament to Brazil’s affinity for oak-aged cachaça. Cachaça is one of the world’s most diverse spirit categories, and the various kinds of native Brazilian woods that have been used historically to age cachaça contribute to the category’s intrigue. We at Novo Fogo have long said that for us, cachaça serves as a bridge between Brazil and the rest of the world — a lens through which we can see some of Brazil’s most delightful aspects and its most pressing challenges. Cachaças aged in native Brazilian woods serve exactly this purpose. They call attention to Brazil’s magnificent diversity and they beg us to understand the full story behind their production so that we can act to preserve Brazil’s vital biodiversity, not strain it. That’s why Novo Fogo remains committed to sourcing legal Brazilian woods for our Two-Woods expressions, to using them sparingly as the finishing touch that follows oak aging, and to transparently telling the story behind them. Moreover, we are working with local partners right now to develop a forest preservation project that directly benefits the kinds of native hardwood populations that have been so direly impacted by deforestation nationwide. We’ll announce the details of this project as soon as we can, but in the meantime, pour yourself a glass of tasty aged cachaça and indulge in a moment of Brazilian Zen. The Novo Fogo/Porto Morretes senior team, from left: Emily Axinte, Dragos Axinte, Fulgencio Torres Viruel, Dr. Agenor Maccari, Jr.